A private 90-minute Divine Healing session during which we’ll transform who you are being so that whatever holds you back releases its grip and you are freed to live your life on purpose, forever bathed in wise, loving Spirit guidance. Yes, Kerry! I’m ready to invest in myself so I can easily tap in to Spirit whenever and wherever I choose, invite deeper meaning and purpose into my life, and open myself to limitless, unfolding possibilities. 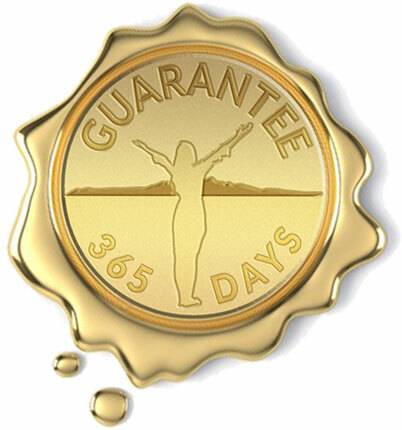 I’m so confident that your experience in the Divine Guidance Gateway program will be so exceptional that I’ll give you every penny of your money back if you don’t agree – for up to 365 days after you start the program. On your honor, all I ask of you is that you show up, do the work, and let me help you along the way. If you’ve done that and still haven’t gotten results, just send an email to Grace@TheDivineGuidanceGift.com and we’ll take it from there.